Stephen L. Duncan's THE REVELATION SAGA, pitched as a sweeping adventure with elements of Raiders of the Lost Ark and Harry Potter in which seventeen-year-old Gabriel Adam - an archangel born as a human - must travel to England in a plot to stop the second war between Heaven and Hell, to Emily Steele at Medallion Press in a deal by John Rudolph of Dystel & Goderich Literary Management. Huge news is inbound here at INKROCK, which I think you’ll find excuses my lack of updates and posts – so stay tuned. In the meantime, though, I wanted to share something amazing I came across while researching my new novel, THE FAR AND NEAR BEYOND. I love the video below (great production quality aside) because it captures the power of words, the importance of bookstores, and just how dramatic the narrative of history can be. And in some small way, it reminds us that fate and luck are big players in all our lives. 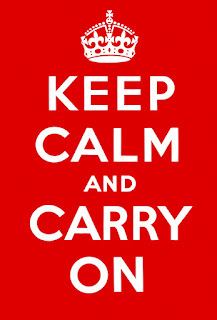 KEEP CALM AND CARRY ON is iconic in our modern culture, and yet the famous red and white posters were nearly lost to time, relegated to an obscure note in the war records if not for the owners of one amazing bookstore in the Northeast of England. 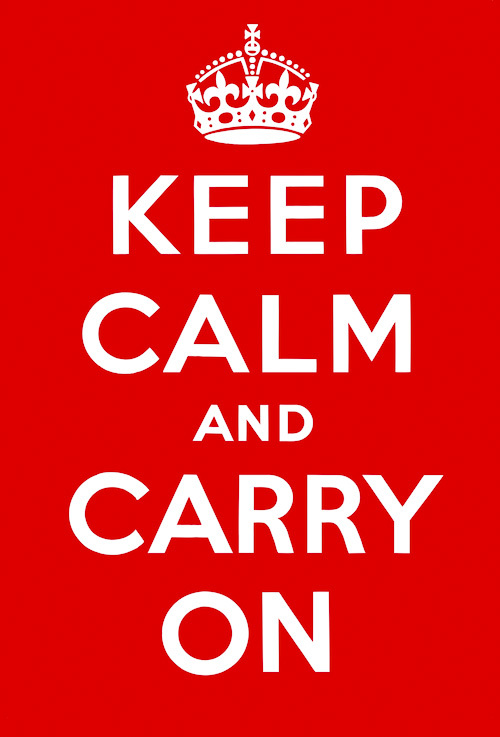 In a story worthy of cloth and paper, the video nicely captures the narrative of how KEEP CALM AND CARRY ON found a second life in modern culture.